The University of Melbourne and Peking University Centre for Psychiatric Research and Training has been established to grow collaborative psychiatric research and build the research capacity of mental health professionals from both Australia and China. 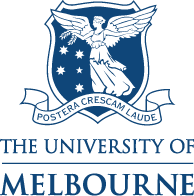 The Centre will jointly train PhD students enrolled at either the University of Melbourne or Peking University. The objective of the traineeship is to provide a period of international research and/or training that is supervised by an expert or specialist in the trainee’s particular field of interest. The traineeship experience will range from 3 to 12 months in length depending on student’s research and/or training goals. Support for travel and living expenses for the time spent away from the ‘home’ institution will be supported by the Joint Centre or other available funding schemes. Each PhD student will have at minimum two supervisors, one from UoM and one from PKU, these supervisors will be supported by a supervisory committee that will meet annually to discuss student progress and address any problems that arise. The Centre will support a limited number of Post-Doctoral Exchanges. Individual applications and proposals will be processed with funding secured through joint applications and proposals. The UoM Department of Psychiatry is internationally recognised for its unique and world-leading strengths around biological and translational psychiatry. Together with clinical collaborations and involvement in mental health policy and practice, this provides a stimulating environment for world-class learning and research training programs. These research activities span across generations, ranging from infancy, adult, women’s mental health, through to old age. The Institute of Mental Health (IMH), the Sixth Affiliated Hospital of Peking University (also known as the School of Mental Health, Peking University), is an integrated center for psychiatric service, training, and research. The only National Key Laboratory for Mental Health founded by the Chinese Ministry of Health is located at IMH. The Centre is co-managed by the University of Melbourne and Peking University and has offices in the Department of Psychiatry, Faculty of Medicine, Dentistry and Health Science and Peking University Institute of Mental Health.